BEIJING — Chinese authorities have successfully cloned one of their top police dogs, reports Chinese state media, global Times. China's top police doggo, a Kunming wolfdog called Huahuangma, is so good at sniffing out drugs and perps that in 2016 the Chinese Ministry of Public Security classified her as a first-class meritorious dog. They decided they needed more dogs exactly like her. According to Chinese state media, Global Times, researchers from the Sinogene Biotechnology Company and the Yunnan Agricultural University have cloned the wonder dog in an attempt to test whether or not it would be viable to mass-produce police dogs. The cloned doggie, called Kunxun, was a success. Chinese authorities claim her DNA is 99.9 percent similar to Huahuangma's. Kunxun is now three months old and will begin training in crowd control, drug detection and evidence retrieval. She will graduate at 10 months old. If successful, Kunxun would have trained to become a police dog in record time. 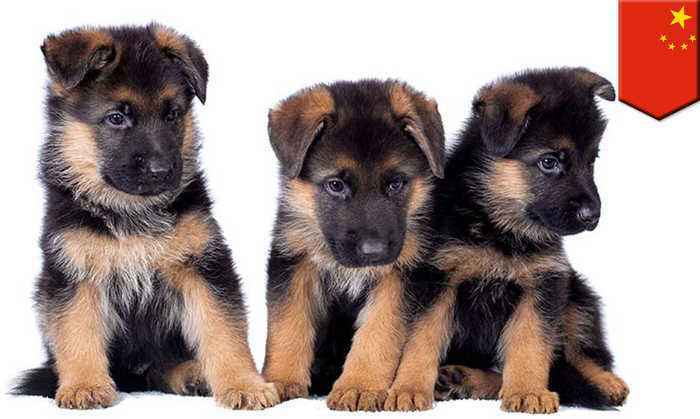 According to the Global Times, it usually takes five years for a pooch to become a police dog and costs roughly $60,000. They did not state the cost of cloning. China is not the first to mass produce professional dog investigators. That trophy goes to South Korea. According to ABC news, in 2009 South Korea deployed drug-sniffing dogs that had been cloned from a Labrador retriever proficient in drug sniffing.